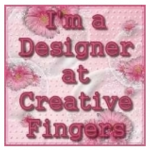 Hi there 🙂 Today marks the beginning of the very first challenge of 2019 at Creative Fingers Challenge Blog 🙂 The DT is excited to start this year, which is sure to be full of amazing projects from all of our entrants, inspiration from the DT, and welcoming back some old sponsors, and introducing new ones!! 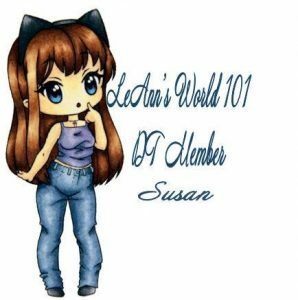 Our first sponsor for the year is the wonderful Morgan’s Artworld – there is such a wide variety of images in the shop, that you’re sure to find something you love!!! The DT was lucky enough to be provided images to work with, and I chose Country Child No. 5. I colored her up with my Copics, doing all the shading (with the exception of the skin) on her with my warm greys – I feel that it gives the image a bit of a rustic look. I cut it out with a pretty oval die, then started messing around picking out papers 🙂 I found pretty polkadot and stripe prints, and distressed and inked the edges. My base color was Kraft card stock. I die cut one of the pieces with a Tim Holtz corner die from Sizzix, and used the other as a mat. The bright yellow sentiment was toned down with the same Distress Ink (pumice stone) that I had run around the edges of all the pieces. 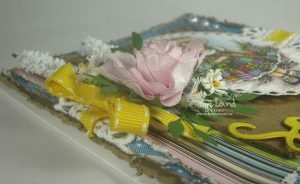 I added some lace, yellow ribbon, a pink rose (to reflect the roses in the image), a few daisies and sprays, some die cut leaves and a few adhesive pearls embellish this card. It’s a bit fussier than my usual cards, but everything seemed to “fit” and I was quite happy with the results. 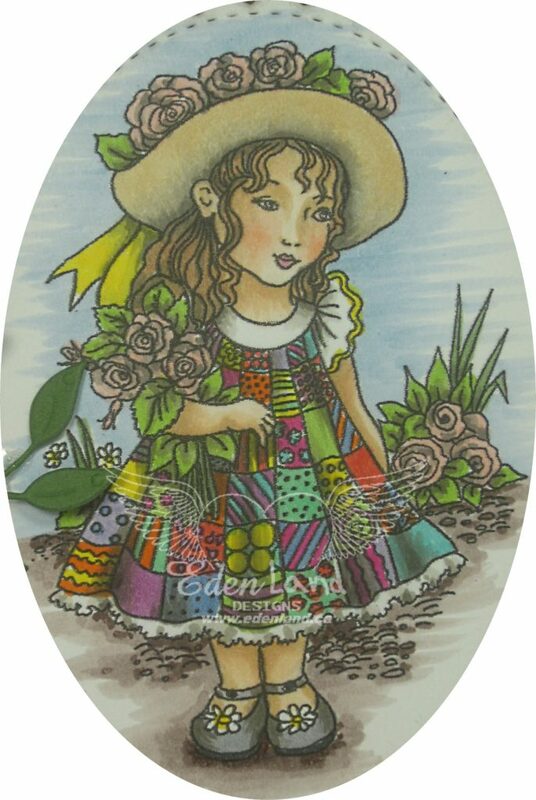 I hope you can join us at Creative Fingers for our ATG challenge, and inspire US with YOUR creations!!! As You Like It – Pearls or Buttons? Pearls! Why? 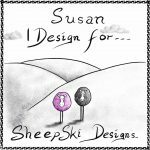 I love the sheen of pearls, and with their variety of sizes they can be stuck anywhere….I rarely make a card without a pearl SOMEWHERE on it!! 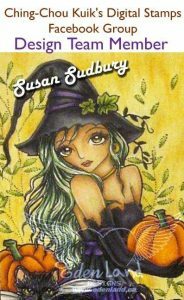 Gorgeous creation Susan, lovely coloring and design! Thank you for sharing with us over at Morgan’s Artworld Open Challenge and best of luck with your entry. Love to see you join in each month. Thank you. A really pretty creation for our ‘Fabulously Feminine’ theme at Stamping Sensations challenge, many thanks for joining in. Loving your sweet project, so colourful too. Thanks for sharing with us at Stamping Sensations this month. Lovely creation Susan. Thank you for sharing with us over here at Morgan’s Artworld Open Challenge and best of luck with your entry. Love to see you join in each month. Thank you. Me again, such a lovely project Susan. 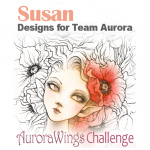 Thank you for sharing with us over here at World Wide Open Design Team Challenge and best of luck with your entry. Hi Susan! What a gorgeous, shabby chic creation. I see your coloring is still wonderful and your card design is perfect for this sweet image. Thanks so much for joining us at As You Like It Challenge! A very pretty card. Love the little touches of yellow with the ribbon and wording, really lifts the card. 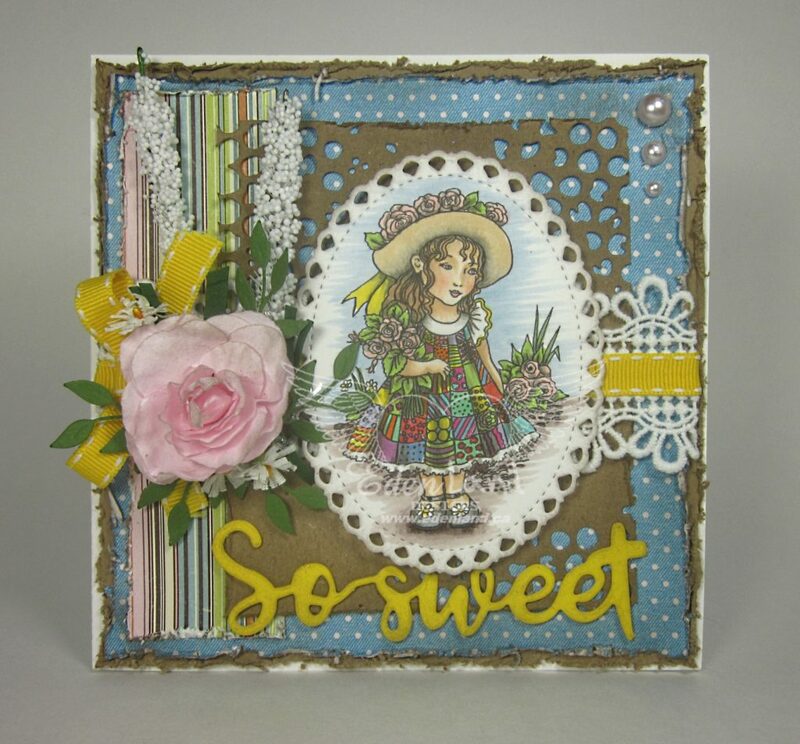 Thank you for sharing your beautiful make with us over at Polkadoodles Craft Challenge and hope you will join us again. This is darling. The dress reminds me of an actual dress I made LONG ago for a nice of mine. Beautiful card design, love all the layers. Thank you for joining us for our Week 4 ‘Anything Goes’ Challenge at Polkadoodles. Why not join our other other challenges at Digi Choosday and A Gem of a Challenge.